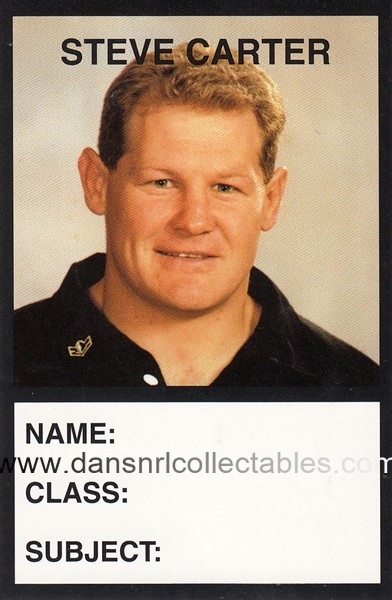 This card is Steve Carter - from the Penrith Panthers 2000 Rugby league school book label release. In 2001 the Penrith Panthers released 6 School book labels. This sticker is in excellent condition, unpeeled, see scan.